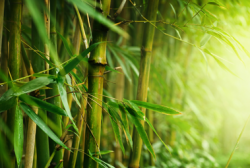 Browse the toolbox below for resources related to bamboo and grasses! In Africa, trees provide most of the biomass needed for construction and energy purposes, often at the expense of natural forests and other woody ecosystems. Moreover, trees are important components of agroforestry systems that produce both food and non-food biomass in an environmentally friendly manner. Bamboo, a group of woody perennial grasses from the tropics and sub-tropics, can help underpin biomass production. While in Asia bamboo sprouts are widely appreciated as a food item, in Africa bamboo is mostly considered a source of non-food biomass that may complement timber use in building and construction, pulpwood, furniture and artisanry. Besides, bamboo-based firewood and charcoal are suitable alternatives for similar wood-based products. Like other grasses native to Africa such as Napier grass bamboo also presents opportunities as a forage crop. Agroforestry systems, both with bamboo and trees, have proven useful in meeting socioeconomic and environmental needs. However, further research is needed to identify suitable species, ecological conditions and enabling socio-economic factors for widespread implementation in Africa.